Just a reminder... 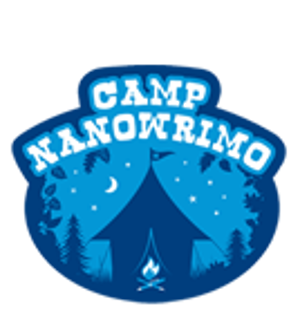 It's almost time for Camp NaNoWriMo again! I won't be there, but several folks I keep in contact with are usually out there. It starts again in July, so there's still time to sign up! Have you participated in the camp before? What was the experience like for you? No, I haven't participated, but I've followed a number of others who start out with great verve and then life gets in the way... A few do accomplish their goals, and it seems to be a good way for them to force themselves into writing that first draft. I seldom have the time to commit to a full month of intense writing. It's difficult enough for me to keep up with the blog!